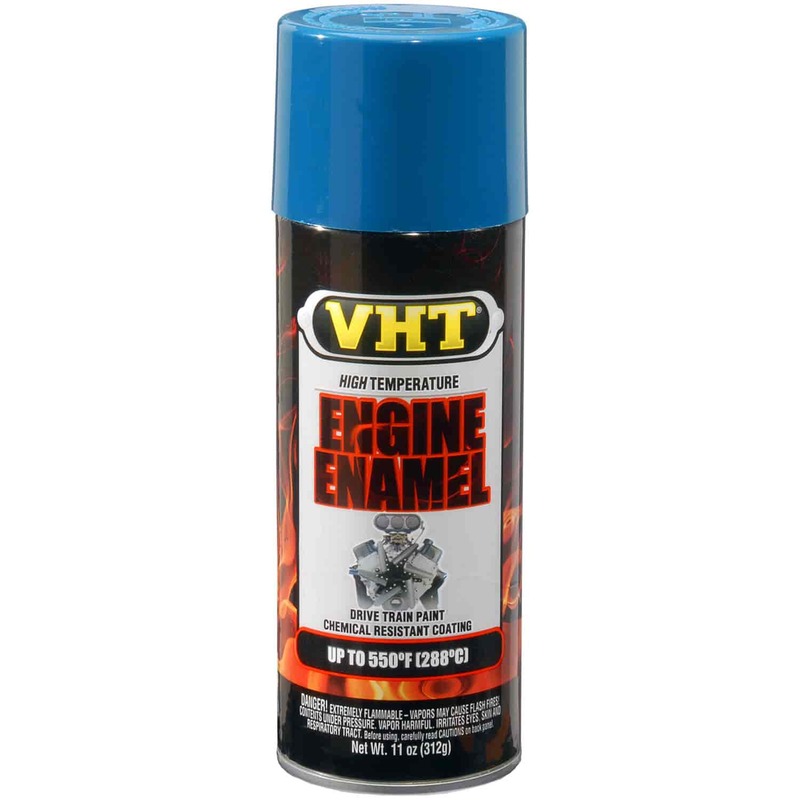 VHT Engine Enamel is a unique formula of urethane resins that resist fading, harsh solvents, corrosion, and 550°F temperatures. No other air-dry coatings withstand the contents of today's cleaners & fuel as well as VHT. Factory engine colors available for restoration and customization. Spray enamel in one direction using long, steady strokes. Repeat in opposite direction.